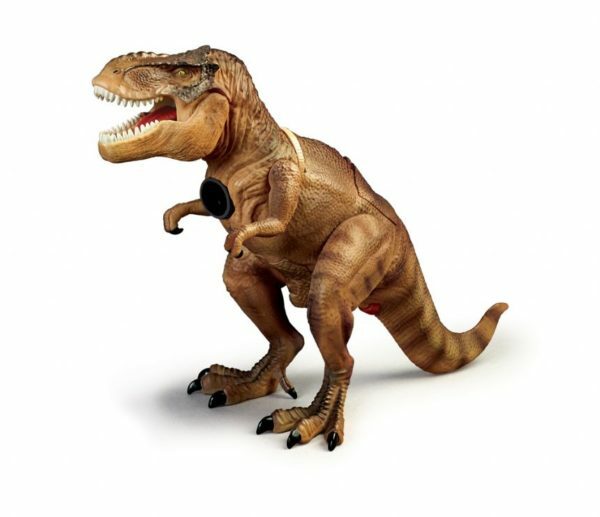 Protect your room with this Roaring T-Rex. This dinosaur is fitted with motion sensors that will detect anyone trying to enter the room and bring the T-Rex to life with 5 different roars. 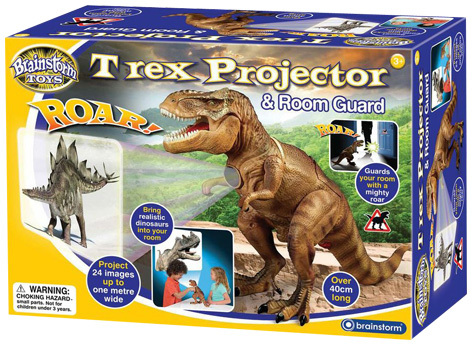 The T-Rex will not only protect your room but also project 24 dinosaur images on to your wall, the projection will be up to 1 metre. 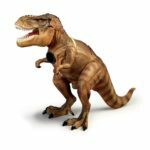 The T-Rex stands at over 40cm tall.